Could Apple maps be useful one day? Something to look forward to: Apple Maps employees have been spotted walking around San Francisco with gigantic backpacks equipped with Light Detection and Ranging (LIDAR) sensors, cameras, and, of course, GPS transmitters. This is a good sign for the future of Apple Maps. In June, Apple revealed that they would be replacing their abysmal hodgepodge of 3rd party mapping data with their own first party maps. The last few months have seen Apple Maps minivans roaming the streets, discussion regarding the use of drones to deliver information in real-time and, most recently, reports of a Subaru Impreza with a towering sensor array driving around Los Angeles. Dante Cesa, a former Engadget writer, photographed the “Apple Maps guy” and rather treacherously tagged MacRumors on Twitter. While it appears that the use of drones is stifled by heavy-handed legislation, the combination of mapping on foot and via the roads is sure to bring many (much needed) improvements to Apple maps, such as a better understanding of traffic and road conditions, footpaths and foot traffic, any current construction work and higher levels of detail. 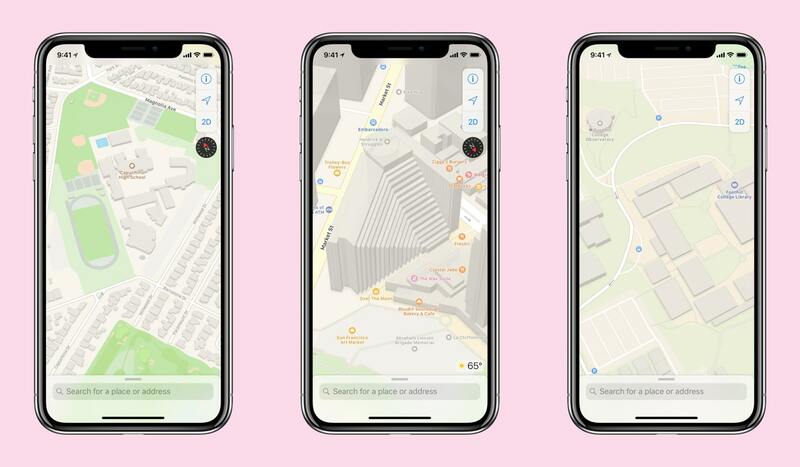 While iOS 12 did bring some improvements to Apple Maps, Google Maps is still the winner, so it’ll be interesting to see if mapping on foot can change that. Obviously, San Francisco will be the first to receive these improvements, but an Apple spokesperson previously said that they’d be starting with northern California and work outwards from there. There’s no word yet on when that’ll be.